This is truly airport transportation in style! 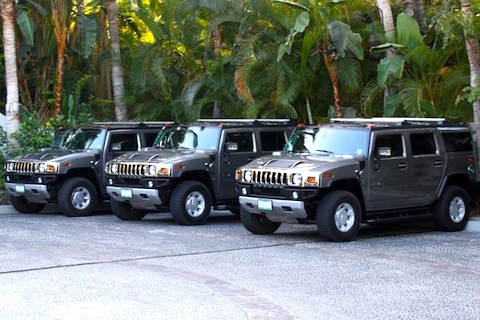 The One&Only Palmilla has a fleet of branded Hummer H2s that they use to pick up and drop off guests at the airport. There are also exclusive excursions that you can book through the One&Only Palmilla which will take you to explore the Baja desert. The One&Only Palmilla is known for its attention to detail and these beautiful Hummers are no exception.